Hi - I've got a set of 71 doors that I'm trying to sell. Currently have them listed on Craigslist. Link is below. Let me know if you are interested..located in the Northville MI area. (07-30-2018, 09:32 PM)BFH 429 Wrote: Hi - I've got a set of 71 doors that I'm trying to sell. Currently have them listed on Craigslist. Link is below. Let me know if you are interested..located in the Northville MI area. The seat cushions for sale are mine also. Do you need the doors or cushions? 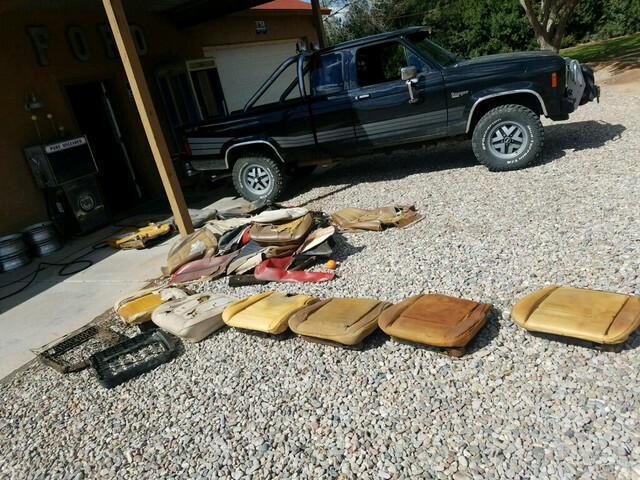 (07-31-2018, 04:37 PM)HBFH 429 Wrote: The seat cushions for sale are mine also. Do you need the doors or cushions? No, have my own private hell to deal with!